While the standard LPN job description can vary somewhat according to the nurse’s place of employment, a practical nurse is usually responsible for basic patient care duties. An LPN works under the supervision of a physician or a Registered Nurse and are valued team members in hospitals, clinics, nursing homes, and public health organizations. The duties of LPN jobs can range from very basic health care to more specialized care depending on the area of care they work in. Because of the increased importance of specialized medicine in the health care arena, most LPN schools (including online LPN programs) have begun to offer courses in specific niches. The nurse may perform various medical procedures, including: taking vitals (blood pressure, pulse, etc. ), gathering patients’ health information, preparing and administering injections, assisting patients with personal hygiene, collecting lab samples, performing lab tests, taking care of babies, educating families about good health habits, and supervising nursing assistants and aides. A Licensed Practical Nurse spends much more time with the patient than other health care professionals, so he or she must excel at building relationships with them. In order to build these relationships, it is necessary to get to know patient personalities and emotional states. This is an aspect of the job that is often overlooked when students are thinking about becoming an LPN. 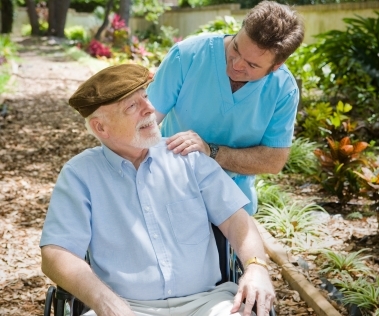 The job duties of an LPN often have to do with the area of health care one chooses to go into. For example, someone interested in caring for the elderly would typically work in a nursing home. The basic job duties for these individuals would include, preparing meals, education of personal health care, developing care plans, monitoring their health, and overseeing nursing aids. Those basic job descriptions may be very different than an LPN that wishes to work at a hospital caring for newborns or cancer patients. The LPN job description is also full of physically-demanding tasks. On a daily basis a practical nurse will be required to move a patient from one place to another, often lifting patients from beds to gurneys and helping them with bathing and changing their clothing. There is no question that there are many career opportunities for LPNs in the health care industry. As a matter of fact, Nursing is the largest health care occupation. The forecast given by the Bureau of Labor Statistics that nursing careers will remain among the top 10 occupations projected to have the most new jobs in coming years. This surge in health care positions is due to the aging Baby Boomers, as well as, advances in technology which have made preventative care so important. Opportunity, great pay, and the ability to make a positive impact in the life of others are all reasons why the position of Licensed Practical Nurse appeals to so many people today. If you are contemplating a career in licensed practical nursing it is important to review the LPN job description and see if the line of work is right for you.